Cotton is a versatile material that is used to make everything from clothing and accessories to towels, bedding, upholstery and more. What you may not know, though, is that there are several different kinds of cotton, and some of them are better than others. If you are looking for clothing made from the softest, most durable material imaginable, Supima cotton is an amazing choice. Supima cotton t-shirts are some of the best on the market, and if you purchase a few for your wardrobe, they will quickly become your favorites. Supima is a type of extra-long staple cotton. This means that each of the fibers in the cotton bud measures at least 1-3/8 inches in length. Supima cotton fibers are 50 percent longer than the fibers found in standard cotton. These longer cotton fibers are used to create woven fabrics that are softer, stronger and more durable than those made from short staple cotton. Grown in the United States, Supima cotton represents less than one percent of all cotton grown throughout the world. 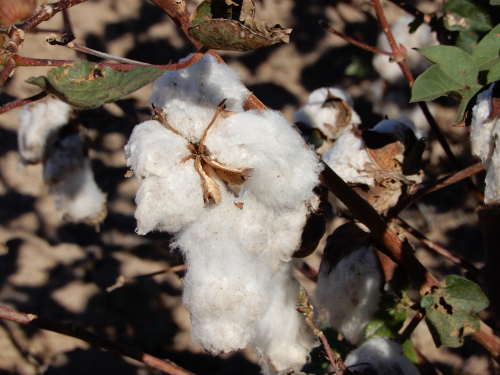 While the Pima cotton grown in other places should have the same features as Supima cotton, it is not tested and products are often labeled incorrectly. When you purchase Supima cotton, you can rest assured knowing that you are getting exactly what you are paying for because it is strictly regulated for authenticity. Why Choose Supima Cotton T-Shirts? When you are shopping for high-quality t-shirts, Supima cotton is the best of the best. The fabric is twice as strong as fabric made from other types of cotton, so it is incredibly resilient. The longer fibers resist breaking, pilling and tearing, so you won’t have to worry about your shirts falling apart after being worn just a few times. 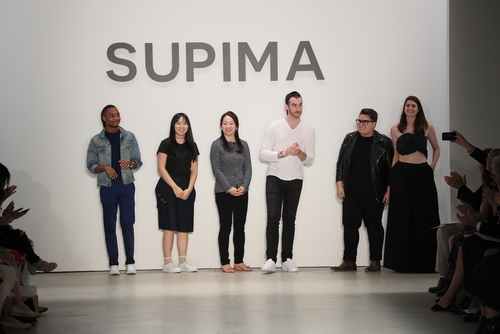 Supima is also inherently softer than regular cotton. The extra-long fibers create a smoother surface and a softer fabric that feels amazing against even the most sensitive skin. As time passes, the material just gets softer and softer. Products like Kajpac Supima cotton t-shirts are exceptionally comfortable and will quickly become your favorites. The finer fibers absorb dye extremely well. This results in a fabric that holds color better than regular cotton. Supima cotton t-shirts remain bright and vibrant through wash after wash, so you don’t have to worry about your colorful clothing fading quickly. Lastly, farmers grow and harvest Supima cotton carefully to ensure minimal environmental impact. They use satellite technology, GPS-navigated tractors, sail monitors and other equipment to plant and harvest the cotton in an eco-friendly manner, making Supima cotton a less harmful option than regular cotton. Supima cotton is as easy to care for as it is comfortable and durable. You should always check the label prior to washing your shirts, but you can probably wash your shirts in the washing machine. Use cold water to prevent shrinking. We recommend using a gentle detergent and washing on the delicate setting. For best results, don’t put your Supima cotton shirts in the dryer. Instead, allow them to air dry on a drying rack or clothesline. In addition to maintaining the quality of your clothing, embracing this option allows you to reduce your environmental impact when doing laundry. If you have a stain, deal with it as quickly as possible, but don’t panic. Don’t scrub. Instead, dab at the spot with a damp paper towel. Then, rinse from the back with cool water to remove as much of the stain as possible. If necessary, use a cleaning agent like baking soda, vinegar or salt. There are several effective homemade, all-natural stain removers that can be used to tackle a myriad of stains. Products like OxiClean are safe to use, too, but avoid any harsh cleaners. Supima cotton is a superior type of cotton that is used to make clothing, bedding, towels, upholstery and more. It is prized for its softness, durability and color retention, and it is planted and harvested with eco-friendliness in mind. If you are looking for t-shirts that are soft and will withstand the test of time, Supima cotton is the way to go. At The Adair Group, we carry top-quality Supima cotton t-shirts from leading brands like Kajpac. Browse our selection today!